I just spent a wonderful weekend in Laredo, Texas at the Laredo Birding Festival. Though the town is west of many of the traditionally known spots in the Rio Grande Valley for winter birding and not as well known as McAllen, Harlingen and Mission, Texas it has plenty to offer wintering birders. 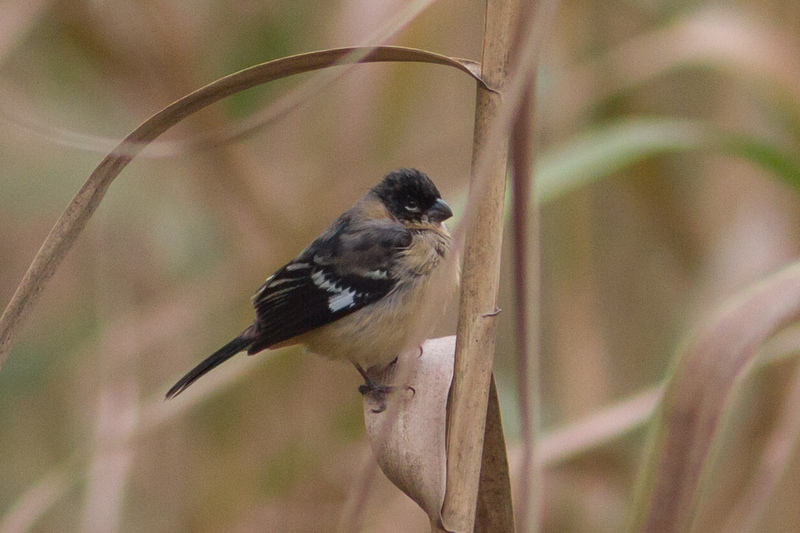 In fact it’s actually ground zero for a couple of the ABA area’s hardest to find and most sought after species: Morelet’s Seedeater and Red-billed Pigeon. 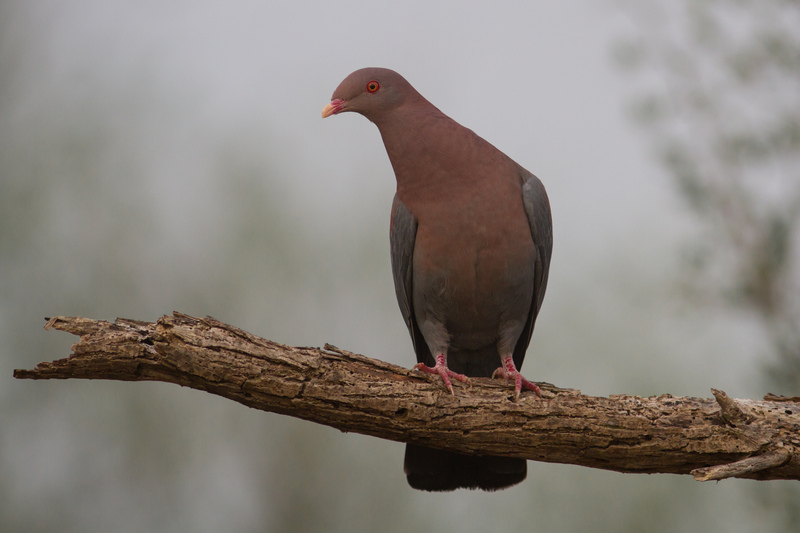 For those two reasons alone it’s always been included in my Rio Grande Valley birding tours and why I have such a high success rate with Red-billed Pigeon when I’m in the valley. 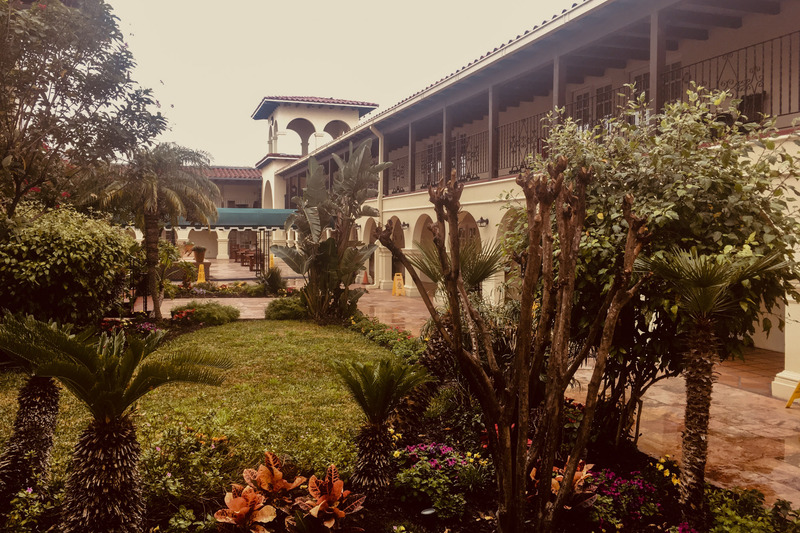 The central location for everything is a really wonderful Spanish style hotel smack bang in the middle of downtown Laredo. La Posada Hotel is a great location with a couple of restaurants on site, two nice pools and a decent fitness room. The good food options here meant that I spent most of my post field trip and booth time chatting to participants in the hotel bar and restaurant. I thought this mingling of guides and participants, especially at dinner time, really added to the overall experience. (La Posada Hotel website here). The opening night was held at the Laredo Center for the Arts where there was a show containing 375 wonderful submissions from local amateur artists of all ages. Not only was the art fun, but it added to the sense that the local community were invested in this event and their local environment. Adding to that sense of community were the events taking place at the local American Legion Hall and the number of locals involved as both drivers and guides on all the field trips. As well as the spectacular local specialties: Red-Billed Pigeon, Audubon’s Oriole, Muscovy Duck and Morelet’s Seedeater, there were lots of fantastic birds that you associate with Southern Texas and Mesquite brush country: Plain Chachalaca, White-tailed Hawk, Crested Caracara, Green Jay, Olive Sparrow, Pyrrhuloxia and Harris’s Hawk among others. In all the three days of field trips totaled about 170 different species, many of them were lifers or ABA species for visiting birders and even I finally had a Muscovy Duck that I felt pretty good about counting in the US. As well as the great birds we had at the festival, it’s worth noting that the event takes place at the peak time for Mexican vagrants to be showing up along the Rio Grande Valley. Though the Crimson-collared Grosbeaks and Golden-crowned Warblers were a little too far from Laredo to be included in the official field trips, a visit to points south and east in the Valley pre or post festival would make for a nice extension for visiting birders. One of the real highlights of the weekend for me was how many of the places were sites that I’ve never birded before. This is because the large majority of sites visited on field trips are not usually open to the general public. Festival goers are therefore getting treated to some really unique birding experiences. The number of local ranchers that welcomed birders on to their property during the event was impressive and testament to local relationships forged. It was really nice to see some of those ranchers attend the end of festival banquet and receive a warm round of applause from birders for their willingness to have us visit their properties. 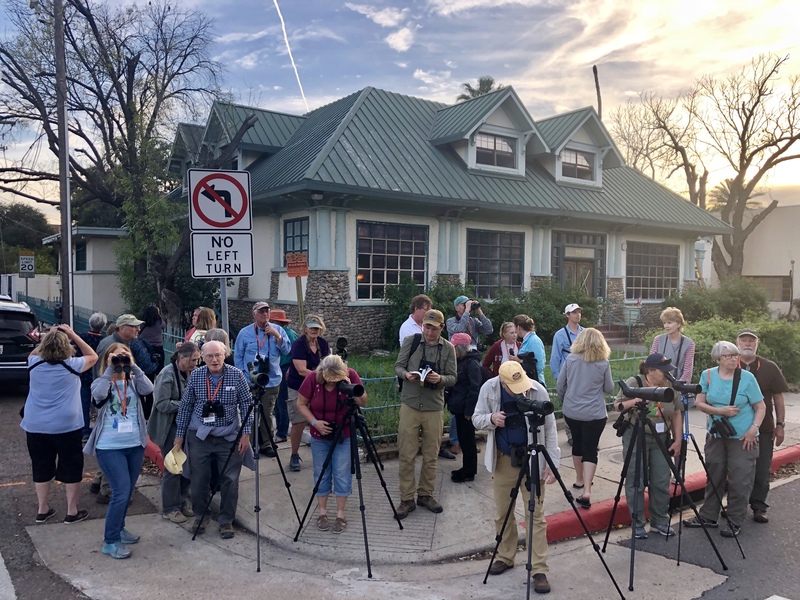 There are plenty of places that are great for birding in the Laredo area that are publicly accessible, but the special access developed by festival organizers really adds to the list of exciting places to visit. One of my main highlights of the trip, personally, was a visit to Trevino Uribe Rancho, a beautiful building recently restored by the River Pierce Foundation (website here). It’s usually only open the first Sunday of the month, but we had special visiting hours arranged for the tour groups. Finally the last thing to address: I was saddened to hear one tour participant say that her non-birding husband had joined her solely because he was worried about the situation on the southern border. Of course they had never been to the Valley before and could only guess what to expect from media reports. I’ve visited the Valley on many occasions and the towns and cities along the Rio Grande seem no more or less dangerous than any other city in the country. In fact with the almost constant presence of Border Patrol it feels like they are probably safer. In the multiple years I’ve visited the border, often standing just a stone’s throw from Mexico, I’ve never felt unsafe. The Rio Grande Valley is a wonderful part of the United States with a rich history, wonderful wildlife and welcoming people and I hope that its open spaces stay accessible to future generations. The festival feels like it has a great group of people working hard to make sure it continues to grow and improve and I was proud to be there with ZEISSBirding helping to support their efforts. Next year’s event takes place February 5-8. To find out more about the festival visit their website (here). I hope to see you there! 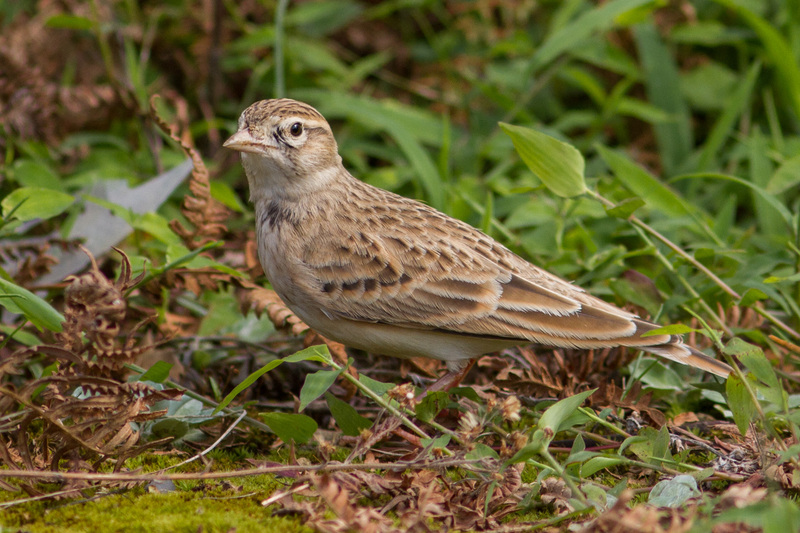 A Bird From Afar: (Greater) Short-toed Lark. This article was originally published in the November 2018 Pasadena Audubon Society Wrentit Magazine. Each month the magazine features a bird species local to Los Angeles County and “A bird from afar”, a species from the world beyond. You can read copies of the Pasadena Audubon Society Wrentit online (here). 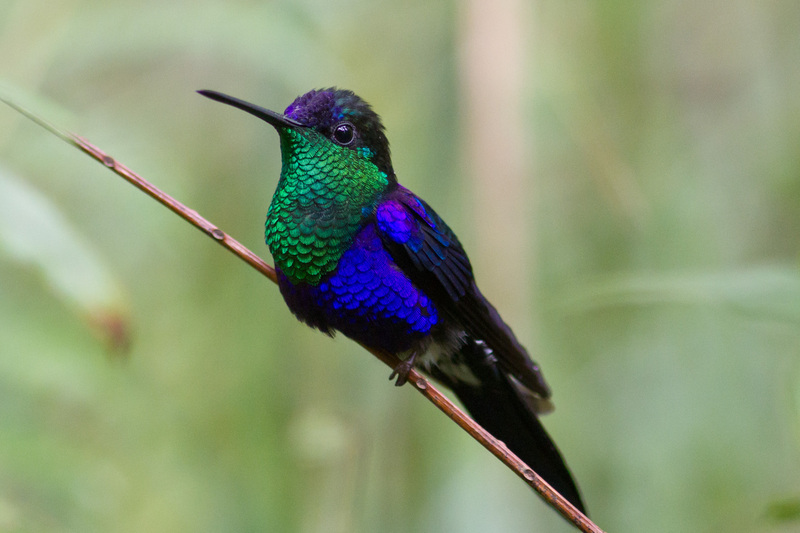 As a professional tour guide I’ve been lucky enough to have traveled to lots of weird and wonderful places and have seen a multitude of incredible birds, which makes picking a favorite from among them to illustrate “A Bird From Afar” particularly challenging. This September I was excited to be invited, as part of a small group of raptor experts, to be part of the Batumi Raptor Festival in Georgia. When you mention that you are traveling to Georgia, most American minds tend to immediately envisage Atlanta rather than the shoreline of the Black Sea, which is where I was heading. As an introduction, Georgia is a small country at the junction of Europe, the Middle East and Asia. Georgians are renowned for their fantastic food (stews, tandoor oven cooked meat, cheese, delicious bread and amazing cheese stuffed bread!) as well as their wonderful hospitality. This hospitality seemed to mainly involve us regularly being offered more wine and chacha (the local firewater) than would fell a bear, and that was just during lunchtime. Batumi is a well-known hotspot for bird migration, with the adjacent Black Sea creating a formidable barrier for migrant birds of all kinds (you could fit all the Great Lakes into it two times over). The hawkwatch is one of maybe only five counts in the world where one might hope to encounter over a million hawks over the season, and as a raptor fan it’s a place that I have dreamed of visiting for many years. There were many beautiful birds I could pick to highlight this wonderful trip, from decadently plumaged Golden Orioles and European Bee-eaters, to impressive and beautiful raptors like the Booted Eagle. 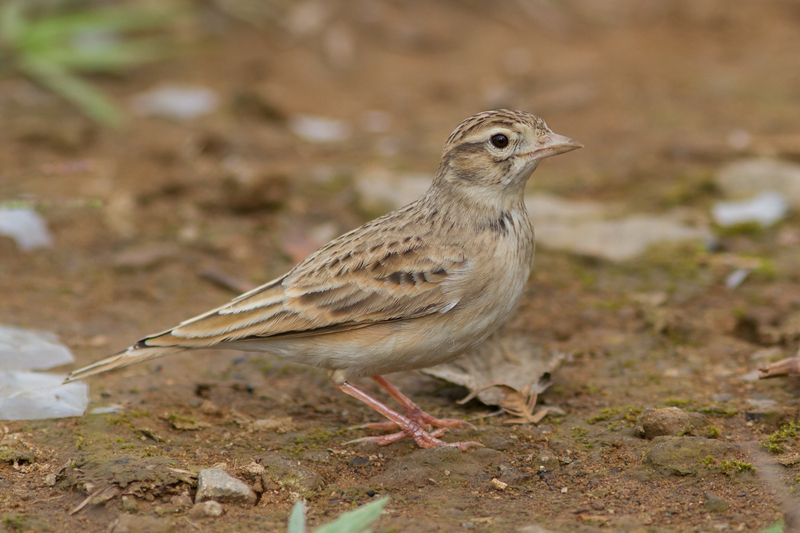 The bird I plumped for, however, might be one of the least glamorous of all the birds we saw: a “little brown job” called the (Greater) Short-toed Lark Calandrella brachydactyla. 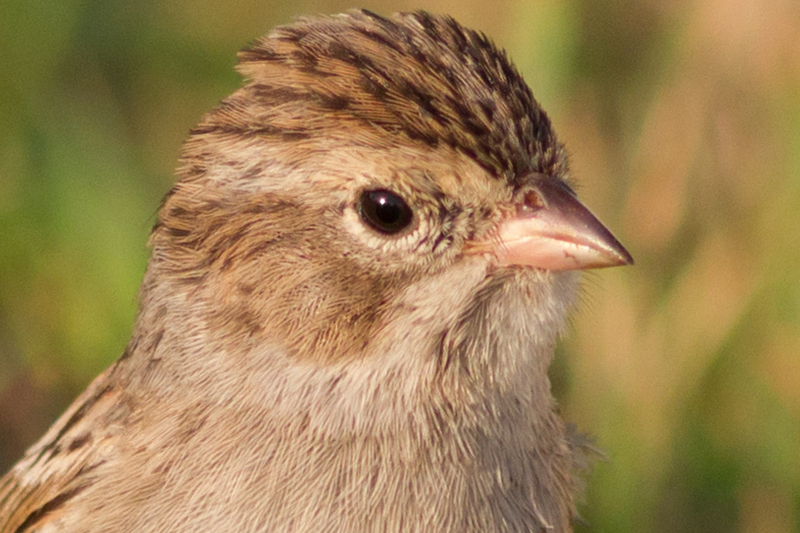 These birds breed from North Africa through to Mongolia and winter in the Middle East south to Chad and Sudan. The species is gregarious in nature, usually in small flocks, though flocks may contain many thousands of individuals as they gather to migrate to wintering grounds. One morning, as we sat at the raptor watch site above the Village of Sakhalvasho, a single Short-toed Lark came winging in from the Black Sea and dropped in exhausted among the gathered hawkwatchers. It sat quietly for a while, either too tired to move, terrified by the hordes of gathered humans or perhaps just impressed to be greeted on its arrival in Georgia by Bill Clark and Klaus Malling Olsen. After a moment or two of assessing the situation it seemed to cotton on that these lumbering bipedal creatures wished it no harm and was soon wandering the lawn pecking at the ground in search of some tasty seed or insect morsel. After half an hour of feeding, while becoming perhaps the most photographed Greater Short-toed Lark in history, it took off again into the skies of Georgia looking no doubt for a few friends and a safe place to spend the next day or two planning its next migratory adventure. It was amazing to have such a close encounter with this individual bird and I felt honored to have been able to spend a little time in its company. Touched by this one little bird, it was hard not to reflect on where it would end up next and how one might help contribute to keeping our shared planet one that will continue to sustain that bird and its brethren in forthcoming years. When you tell most Americans that you are going to Georgia they don’t tend to imagine that your journey is going to take you via Istanbul. My Georgia trip however was to the country that is nestled between the Black Sea and the Caucasus Mountains, not the state that’s now famous for Donald Glover and voter suppression. The Black Sea is two times larger than all of the US’s Great Lakes combined and as such creates an impressive barrier for migrating birds, especially raptors. The area came to raptor aficionados’ attention when a group of birders from Belgium and the Netherlands set up a count of migrating raptors in this bottleneck in 2008. It quickly became obvious that this count would qualify as one of just a handful of hallowed “million bird counts” that can be found across the globe, where one might hope to encounter over one million raptors over the season of the watch. This number put the count in the rarified company of Veracruz, Mexico, Cerro Ancon, Panama and Eilat, Israel and on the bucket list of many raptor fans. As a hawkwatching fan, Batumi had been on my radar almost from the start and having a mother who had traveled extensively in Eastern Europe I already probably had a better idea of what Georgia would be like than your average Brit or American. In the ex-Soviet Union it was known for its beautiful scenery, great food and incredible wines – all additional selling points for me. 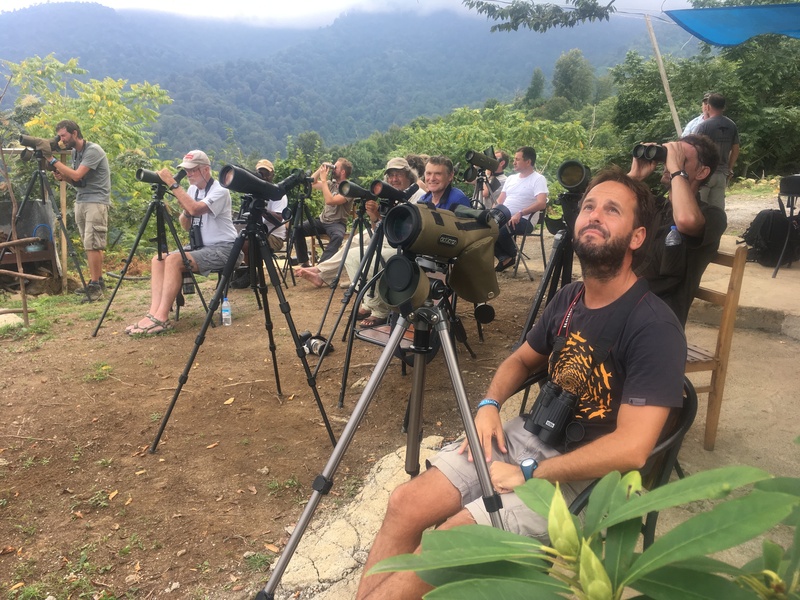 I was therefore thrilled to be invited as part of an international group of raptor experts to visit the country as part of the Batumi Bird Festival in September this year. Batumi itself is a resort town with a host of international visitors and hotels to accommodate them, ours had a really nice pool and its own little stretch of private beach which provided a nice little swath of habitat for morning birding. The birding in town reminded me a little of birding New York City or even Cape May, where little patches of shoreline habitat provided safety and comfort for migrating birds. The hotel grounds’ somewhat manicured gardens and adjacent beach turned up such beauties as Eurasian Hoopoe, Isabelline Wheatear, Rose-coloured Starling, Eurasian Wryneck and European Nightjar! Also, as with coastal New Jersey, Common Dolphin, Harbor Porpoise and Bottlenose Dolphin could all be found frolicking offshore. Unlike Cape May, the hawkwatch sites were outside town up in the foothills of the local mountains. Here one had fantastic views of the Black Sea below and the surrounding foothills of the Lesser Caucasus. At the watch sites the locals had embraced visiting birders: at one a café had been set up by an entrepreneurial Georgian which served cold beers and delicious food and at the other the local kids swung by with a bucket of cold sodas just at the height of the midday heat. The café and beer situation something more US hawkwatch sites need to encourage in my opinion! Though the beers were a highlight, the passing raptors were pretty nice too: the flights included lots of Honey Buzzards and Black Kites as well as a nice mix of other species including Levant Sparrowhawk, Pallid Harrier, Montagu’s Harrier and Booted Eagle. While watching raptors we were serenaded by the lovely calls of passing European Bee-eaters (listen here) and if the migration slowed there was plenty else to enjoy. Local avian highlights at the watch included Rock Bunting, Mountain Chiffchaff and the stunning Black Woodpecker but there were butterflies, dragonflies and herps to enjoy as well. Being a group of raptor fans, it was hard to draw us away from the hawkwatch, but Batumi has much more to offer than good numbers and great selection of passing raptors. One of the local specialties, the rather adorable Kruper’s Nuthatch, seemed easiest to find at the Botanical Garden in town, along with a stunning collection of mixed migrants that included trees full of Golden Orioles and Spotted Flycatchers. 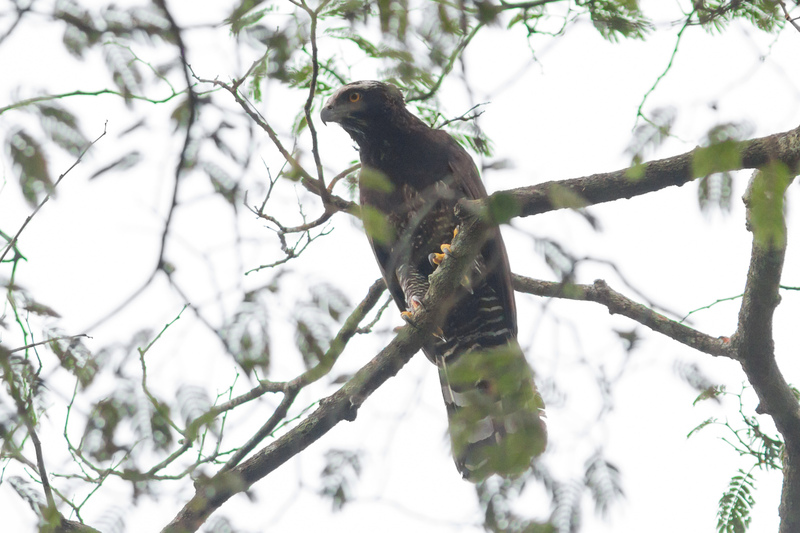 Other local birding hotspots include Mtirala National Park, where one can find seven species of Woodpecker and White-throated Dipper and a variety of localized herps and plants, if you are really lucky you might even stumble upon a Brown Bear! The shoreline of the Black Sea is dotted with migrant traps large and small. 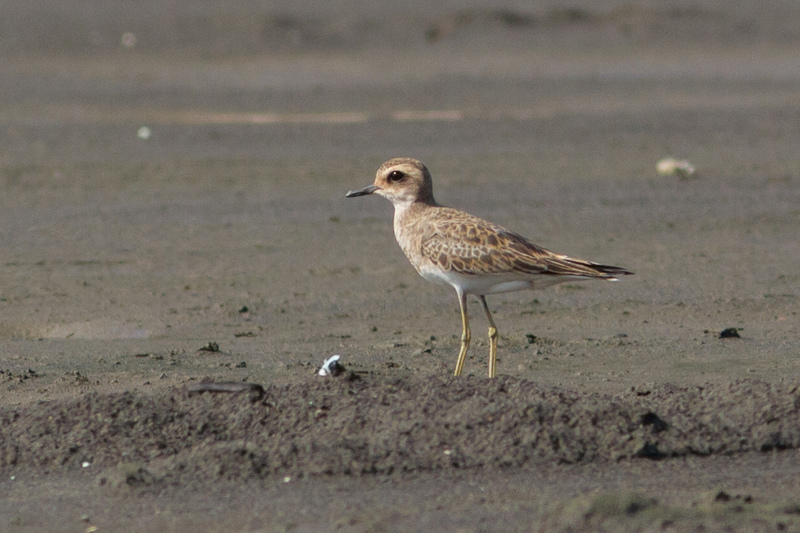 Birding gems among these included the beaches around Poti, where we uncovered a great mix of gulls, terns and shorebirds highlighted by Caspian Plover, White-tailed Eagle, Broad-billed Sandpiper, Little Gull and Little Tern. 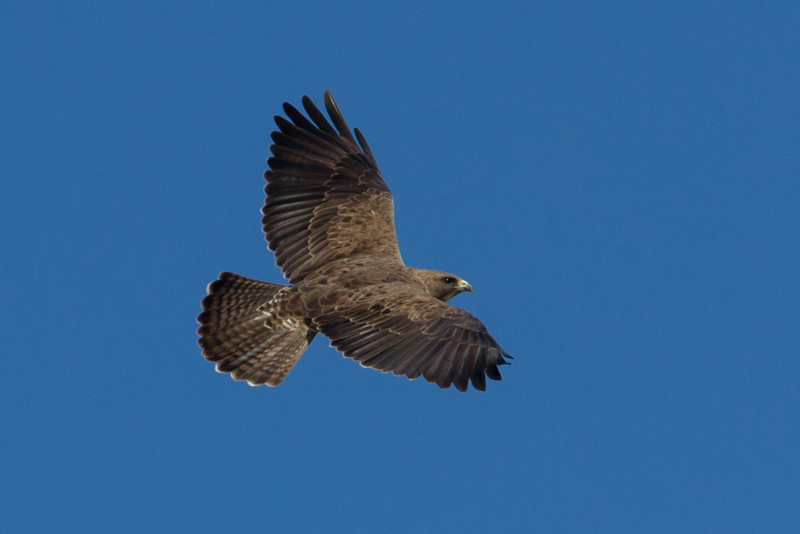 Another shoreline hotspot was the Chorokhi Delta (literally a stone’s throw from the Turkish border) which yielded over a dozen species of raptors including such goodies as Lesser Spotted Eagle and Short-toed Snake-Eagle. Here, among the dizzying array of old-world warblers were nice ones like Savi’s, Barred and Booted Warblers. Slightly more gaudy species included Citrine Wagtail, European Roller and Common Kingfisher. The weather in Batumi was pretty fantastic too, and perfect for this Southern Californian: 70-80 degrees, but always with the chance of a nice shower or two thrown in for good measure. It was certainly enjoyable to pop down to the pool at the end of a day’s birding and have a refreshing swim. The food lived up to expectation, with great stews, salads, cheese, breads, tandoor oven cooked meat and cheese-stuffed bread!!! all washed down with as much wine and Chacha (the local firewater) as one could possibly hope to consume. All in all, it was a wonderful trip to this amazing little country on the Black Sea, and writing the report reminds me of how eager I am to get back. The interior of the country promises a wealth of other exciting birds including Great Rosefinch, Caucasian Black Grouse, Caucasian Snowcock, Guldenstadt’s Redstart, Bearded Vulture and more. I’m hoping my next visit there will take in those special birds too. If you’d like to join me in 2019 for this adventure with European raptors, drop me a line. 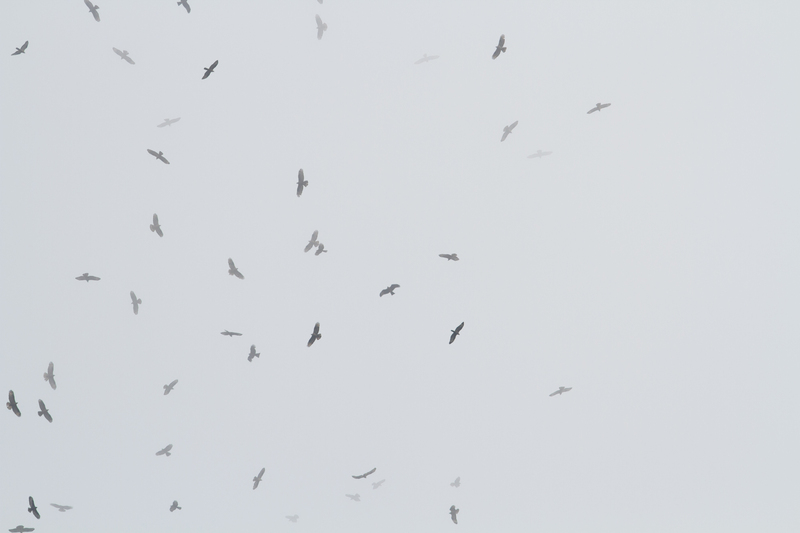 More on the Batumi Raptor Count on their website (here). Mid-August you will find me winging my way to Tucson for the excellent Southeast Arizona Birding Festival. 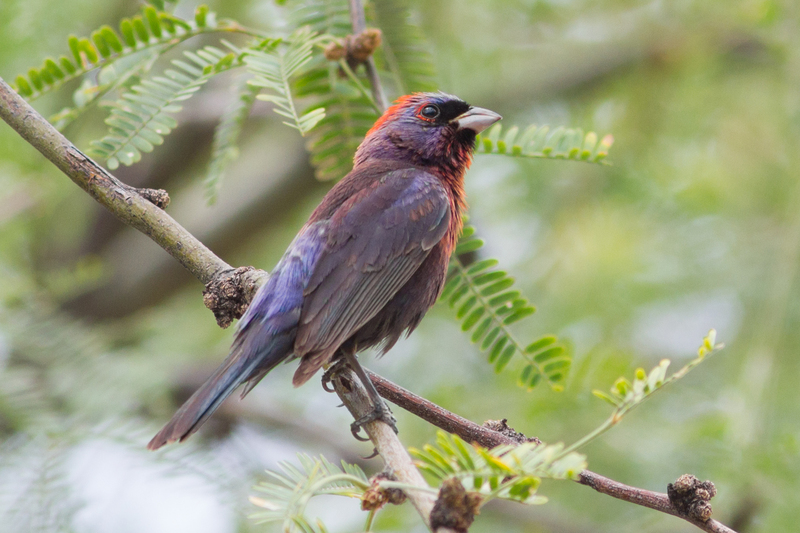 The event run by Tucson Audubon captures what must rate as some of the premier birding at some of the premier birding locations to be found in the US. 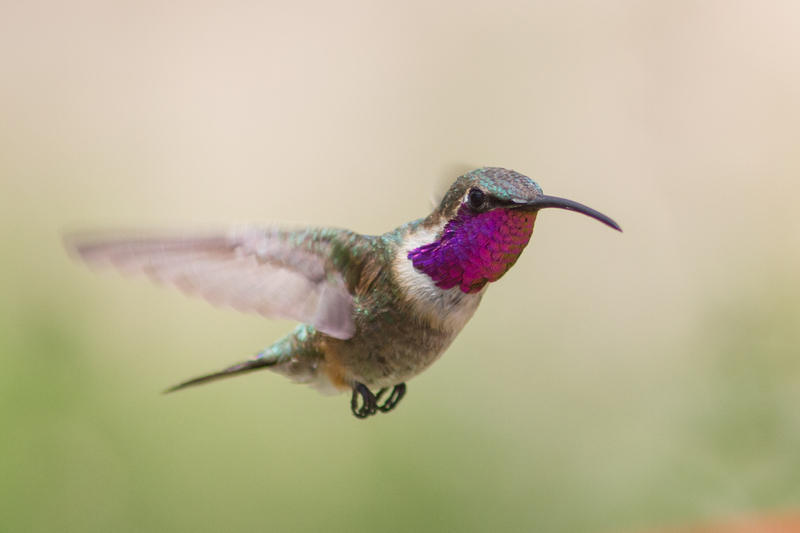 With a base in Tucson, the festival hosts an amazing selection of tours including multi-day events to further afield sites as well as day trips to some of what must be the most famous birding sites in the US: Madera Canyon, Ramsey Canyon, Mt Lemmon etc. As well as usual early morning day trips there are events aimed at nocturnal denizens of The Copper State including insects, arachnids, mammals as well as birds. There are also lectures, live critters and all the other things you might wish for at a birding festival. I started my Arizona adventures down around the town of Sierra Vista. With a few targets on my list, I started my day driving up Carr Canyon. The nice thing about Carr is that it allows you to drive up to relatively high elevations rather than taking what can be quite strenuous hikes. 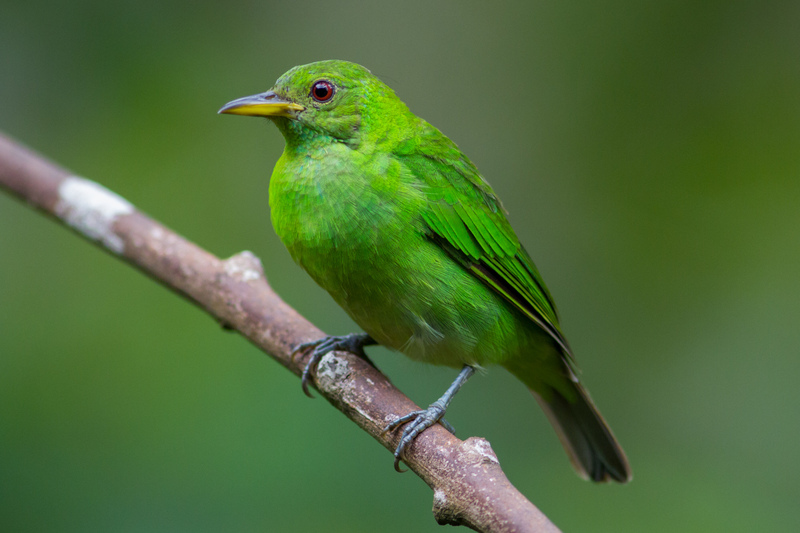 Driving the road up, the rise in elevation sees a corresponding change in the makeup of bird species encountered from Phainopepla at the bottom, through Hepatic Tanager and Greater Pewee midway to Band-tailed Pigeons toward the top. The road up was as rough as promised (passable slowly in a sedan) but thankfully a little less hair-raising than some had suggested (being terrified of heights I was thankful for that)! Half way up I ran into Brian and Rob from the Sabrewing Tour crew and we joined forces for some birding focused around the Reef Campsite area. Highlights included Zone-tailed Hawk and Plumbeous Vireo and my main target for the morning Buff-breasted Flycatcher: a particularly localized and charming member of the empidonax flycatcher family. With temperatures rising I said good by to the Sabrewing crew and headed for some leisurely birding among the feeders of Sierra Vista. First stop was the Ash Canyon B&B. After paying my $10 sugar fund entrance fee I was welcomed to an incredible array of hummingbird feeders. Taking a pew in a nicely shaded section of the garden I quickly racked up a healthy collection of attractive hummingbirds. The feeders here are dominated by numbers of Broad-billed and Anna’s Hummingbirds but in among the throng a couple of local specialties lurk including my main target here: Lucifer Hummingbird. These must rank as one of the more spectacular species to be found in the US though I prefer the slightly more romantic and descriptive alternate common name for the bird: Lucifer Sheartail. Ash Canyon doesn’t just claim hummingbirds aplenty, and other feeders on site attract everything from Mexican Jays to Lesser Goldfinches. After an hour or so soaking up all that Ash Canyon has to offer I decided to head for a little more relaxing mid-morning birding and photography at Beatty’s Guest Ranch in Miller Canyon. After laying down my $5 for the sugar fund I hiked up to enjoy the hummingbird feeders on site. 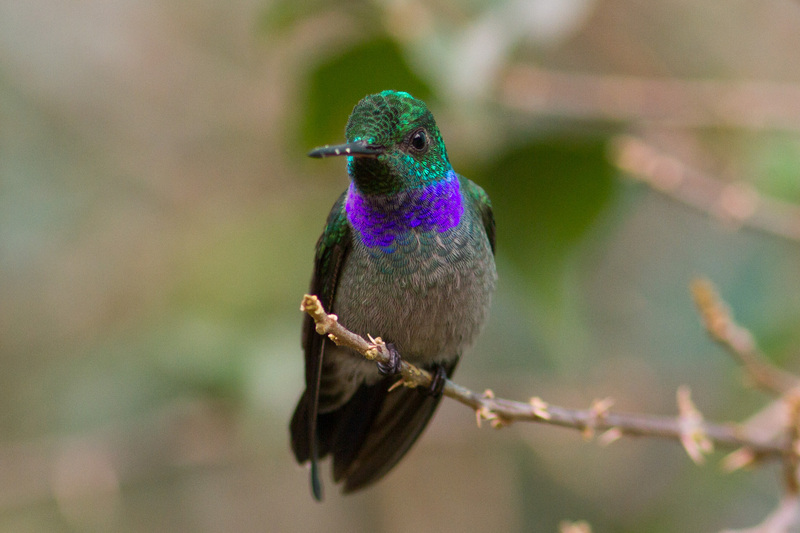 Here among good numbers of newly christened Rivoli’s Hummingbird (previously Magnificent) I managed to eventually dig out great views of a much desired Violet-crowned Hummingbird. A little exploring up canyon from Beatty’s lead me to uncover an almost wholly unexpected Rufous-capped Warbler, that hadn’t been reported in over a month. 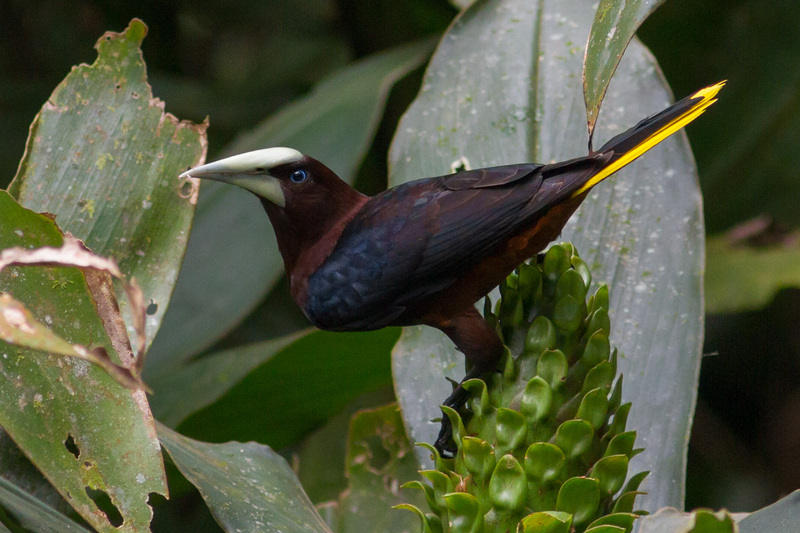 An ABA area bird I had only previously encountered in Panama. Day two of my Southeast Arizona adventures I decided to head up to Mount Lemmon mainly in search of warbler action. Though the west doesn’t promise the variety of warblers one can find in the east it does perhaps boast some of the more outstanding species. I essentially limited most of my birding to the Rose Canyon Lake area (fee area). It always appears to me that the best places to bird in the mountains are those with camp sites and picnic areas. Finding my first Painted Redstart by the bathroom block (see!) I then followed a roving flock of warblers and other passerines for over an hour, picking through to eventually uncover a wealth of great species: Olive, Grace’s, Townsend’s, Hermit, Black-throated Gray and eventually the star prize of Red faced Warbler. Beyond the warblers there was much more to enjoy here including Greater Pewees, Broad-tailed Hummingbirds and Bridled Titmice. Even better was that the temperature barely creeped into the high 60’s the whole time I was there, a wonderful relief from the summer sun of CA and AZ. Heading back towards Tucson I stopped in some likely looking Saguaro rich habitat to pick off a couple of Gilded Flickers and ended my morning’s adventures at Agua Caliente Park. This park boasts a mix of manicured lawns, ponds and palm trees as well as some nice native habitat too. The mix of environments provided for a nice mix of birds which included Harris’s Hawk, Hooded Oriole, Purple Martin, Lucy’s Warbler as well as a huge covey of Gambel’s Quail and a couple of cool lizards. Day three of my Arizona adventure took me south towards Tubac and Amado. First was a quick jaunt along the De Anza National Historic trail as it meanders down the San Pedro River. Here a myriad of localized flycatchers took advantage of insect hatch outs along the river. Highlights included: impressive and aptly named Thick-billed Kingbird, and mournfully calling Dusky-capped Flycatcher. Even the Tropical Kingbirds, so ubiquitous in points south of the US, take on a more exciting hue north of the Mexican border. Other highpoints included a family of Cooper’s Hawks, a couple of showy Yellow-billed Cuckoos and a couple of Bell’s Vireos that made for interesting comparison with the California “Least” version that I am used to living in Los Angeles. 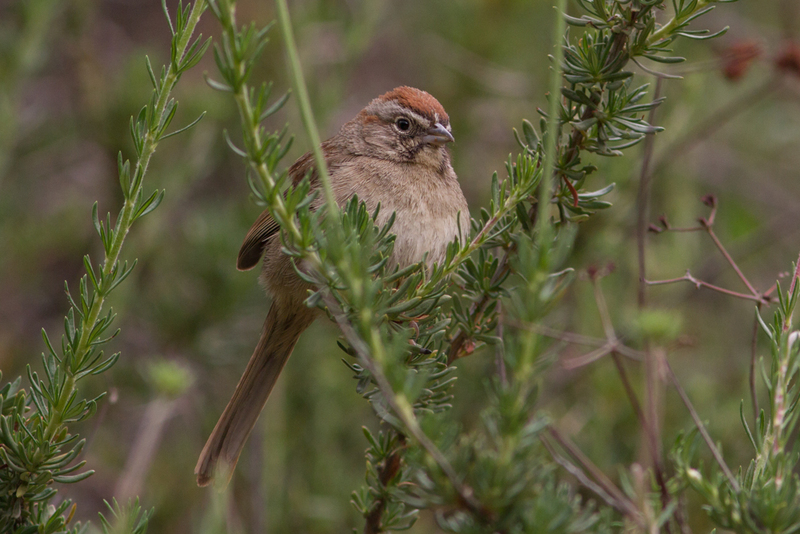 With the monsoon now providing nice overcast conditions I decided to head to Montosa Canyon to see if I could try my luck at some bird photography. 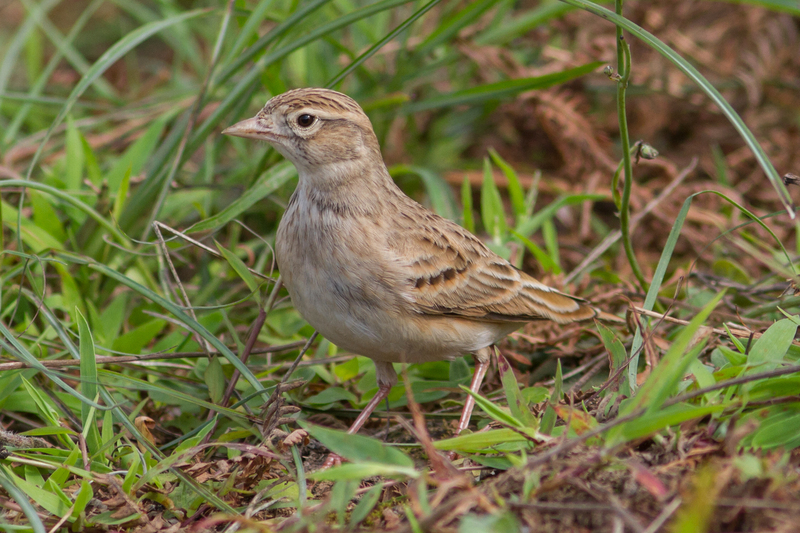 Target species, soon acquired, included a seemingly lonely Five-striped Sparrow and multiple stunning Varied Buntings. As well as the birds the other denizens of the canyon catching my eye included a rarely encountered White-nosed Coati (at least away from a couple of known feeders), several cryptically colored skipper butterflies and a rather stunningly iridescent Western Tiger Beetle! On my fourth day I was in actual work mode, leading a tour for the festival at the world-renowned Madera Canyon, with excellent local guide Robert Mesa. First stop of the tour was along the entrance road to the canyon for a couple of special sparrow species Cassin’s and Botteri’s. Though somewhat featureless in plumage both birds make up for their drabness with their jaunty songs and in the case of the Cassin’s their beautiful skylarking display flights. Next stop on the canyon tour was at the renowned Proctor Road. 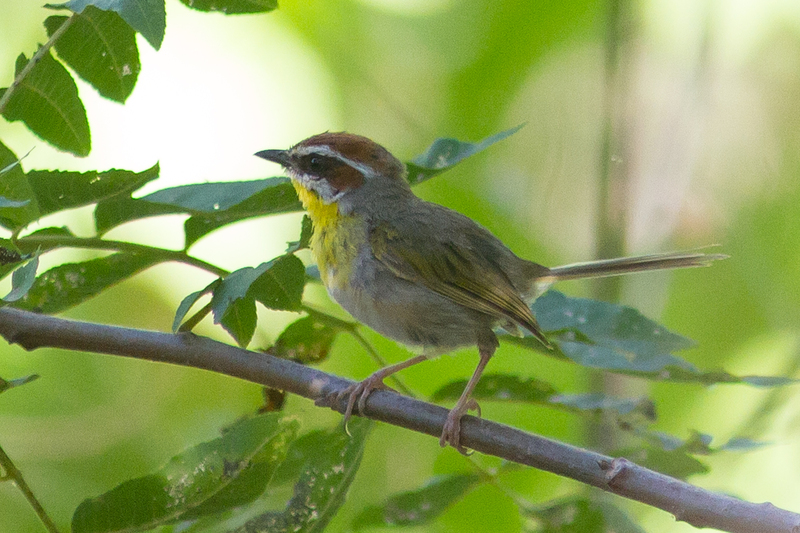 Here we uncovered another selection of fantastic birds including Rufous-crowned and Rufous-winged Sparrows, both male and female Varied Buntings and most excitingly killer views of a Northern Beardless Tyrannulet, one of those species where the name is bigger than the bird itself! 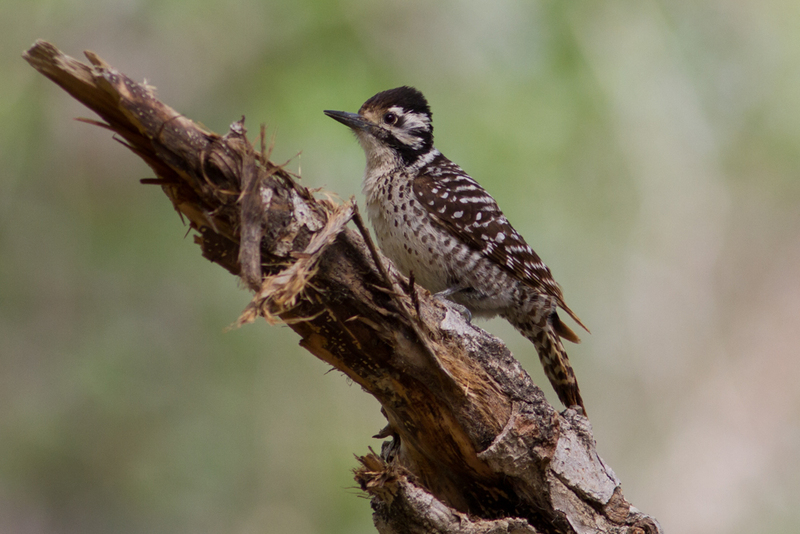 As we ascended into the canyon we began to run into more exciting specialties including a couple of highly prized locals like Sulphur-bellied Flycatcher and Arizona Woodpecker. With Roberts expertise we soon found ourselves first hearing and then seeing our main target for the day: Elegant Trogon. Though neither individuals were particularly obliging we eventually managed to garner decent looks at both a young bird and then a dazzling adult male bird for the group. The Zeiss crew returned to Madera that evening to join local guide extraordinaire Ken Blakenship and Bill Thompson III for a nocturnal bird prowl. 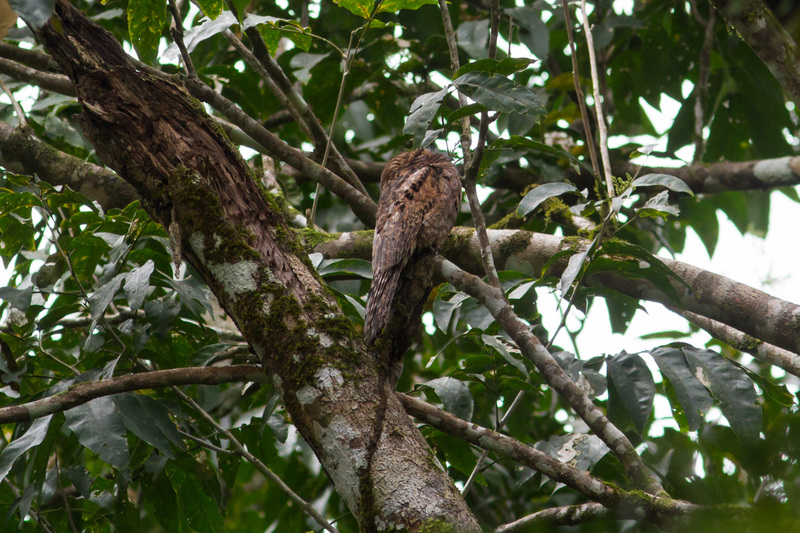 We kicked off the trip with views of Mexican Whip-poor-will before encountering a couple of heard only species (the bark of an Elf Owl and the distinctive double toots of a “Mountain” Northern Pygmy Owl). We then had incredible views of a Whiskered Screech-Owl with prey item and a pair of Western Screech Owls (all while my camera was safely tucked away in the trunk of my car!!!) 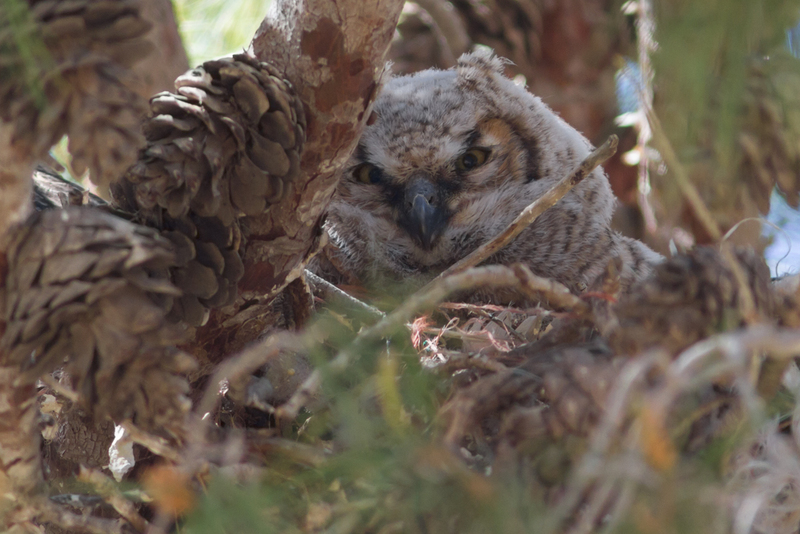 August isn’t the easiest time to see nocturnal owls in Arizona, so it was a very successful night. 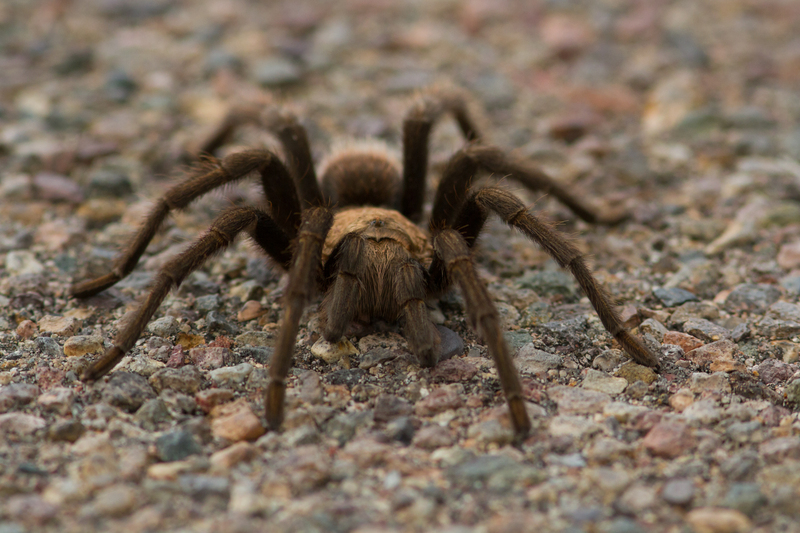 Almost as excitingly we’d managed to run across a huge Arizona Blond Tarantula on our way to meeting the group. Day five I was lucky to join Bill Thompson III again for a Zeiss sponsored walk at Sweetwater Wetlands with a bunch of young birders from the Tucson area. Zeiss always like to do what we can to support the next generation of birders and as part of our promotion for the festival we had promised to donate a pair of our awesome Terra binoculars to a young birder for every Victory SF that we sold. The young birders were excellent and knowledgeable about local birds and much more: dragonflies, butterflies etc. so they were really keeping us on our toes. Bill did a great job entertaining the crowd and even enticed a Brazilian family to tag along with us for the morning. I think we managed to give them a nice introduction to birding with highlights including a brilliant Vermilion Flycatcher, a flyby Peregrine Falcon, which came in and practically strafed our group, and a very cooperative Barn Owl that allowed us incredible close views and digiscoped photos. All the kids were very respectful of the sleepy nocturnal predator, making sure we didn’t disturb him from his mid-morning snooze. A fun walk and nice to see such an informed and, more importantly, enthusiastic group of young birders. The banquet that evening boasted more hilarious entertainment from Bill. As part of the Zeiss Team that sponsored the event I got to share the table with the Mayor of Tucson. It was really great to see local officials recognizing the importance of birding and nature observation to the local economy. Though not my seventh day, I did find myself resting on Sunday. I was finally exhausted by all the incredible birds and birding opportunities here. 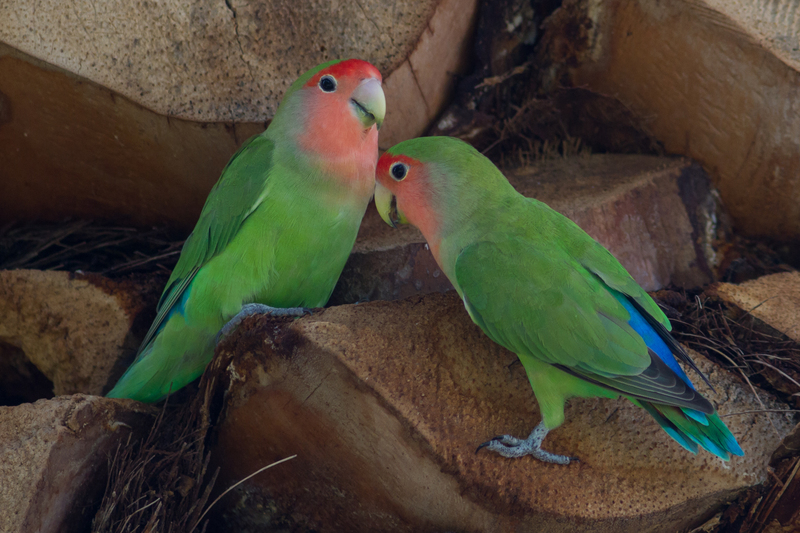 As I swung out of town after the show I had time for one last birding stop just outside of Phoenix to add a handful of introduced but incredibly beautiful Rosy-faced Lovebirds to my ABA list. A hot end to a great trip! If you haven’t been before I’d highly recommend the festival. 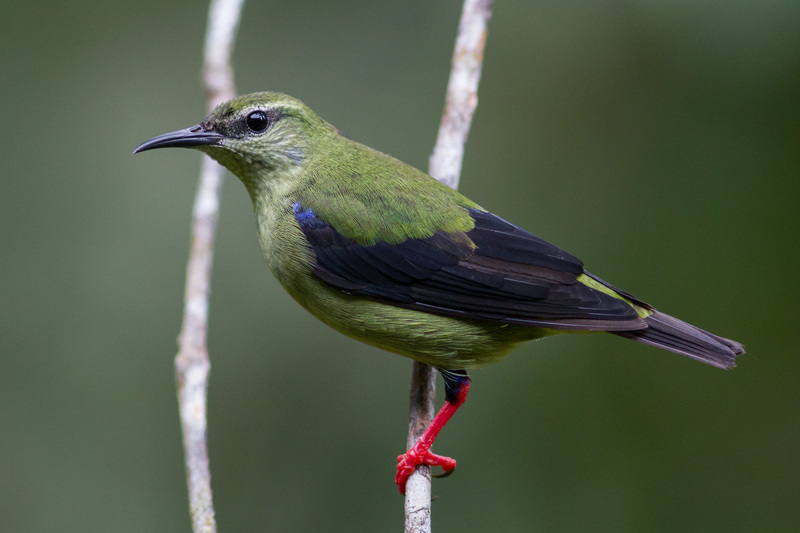 Great trips, great local leaders all at some of the countries most exciting birding hotspots. The dates are already up for the 2019 Festival: August 7-11, put them in your diary now and make sure to pop over to say hello to me on the Zeiss Booth. The festival website can be found (here) and a collection of photos from my time in AZ can be found on my Flickr page (click link here). Spring in SoCal Tour. This tour took in more than just LA County has to offer, though all within a very manageable 200-mile radius of downtown Los Angeles , with the majority less than half that distance away. We started our tour with pickups at airport hotels before winging our way over to Huntington Park, an urban part of the LA Basin where Spotted Doves hold on to perhaps their final mainland California bridgehead. We soon had the pretty pink dove lined up in my scope and in the surrounding neighborhood we managed to pick up a couple of colorful, if less countable, parrot species including Ring-necked, Yellow-chevroned and White-winged Parakeets. Our next stop was a typically California coastal one replete with palm trees, where along with the beautiful sand beaches and the salt spray of the majestic Pacific Ocean we also enjoyed a couple of “rockpipers” in the shape of Black Turnstone and Surfbird. Our next stop was Bolsa Chica, a real southern California birding jewel. 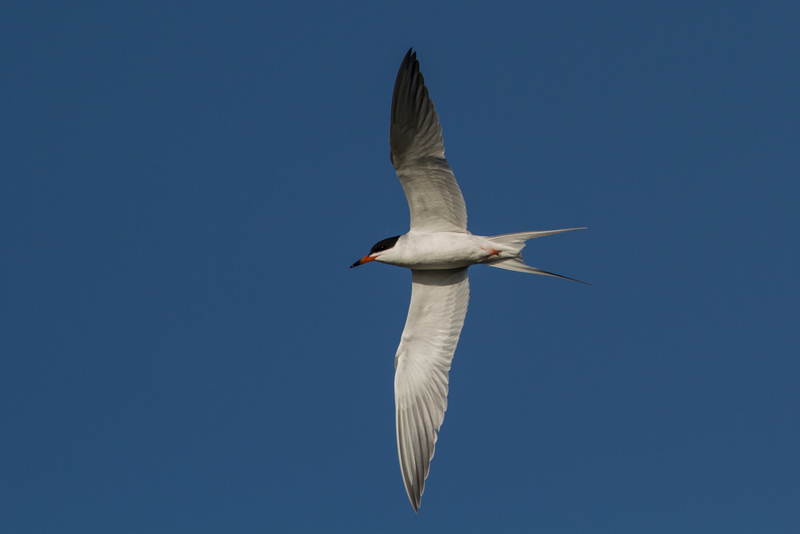 Immediately we discovered a wealth of terns including name-definingly Elegant Terns and cute little Least Terns. Our main quarry here though was the relatively recently split Ridgway’s Rail. Sometimes seemingly easy, sometimes impossible but rarely anywhere in between we eventually had amazing point blank looks at this impressive and attractive west coast cousin of the Clapper Rail. We rounded out our day with a quick stop at Huntington Beach Central Park for some fun introduced species, Orange-cheeked Waxbills, and some pretty migrants including Townsend’s and Black-throated Gray Warblers. A great first day was rounded out with a fun stop at one of Southern California’s premier breweries: Pizza Port in Oceanside. We started our day bright and early as we swung south towards the Mexican border. Here along some rocky mountain roads we sought out a variety of specialists including striking Black-throated Sparrows and most importantly one participant’s bogie bird Gray Vireo. A quick roadside pause soon had us a singing Gray Vireo, which allowed us to work good views of a pair, while sparrow song rang out from the surrounding hillsides. 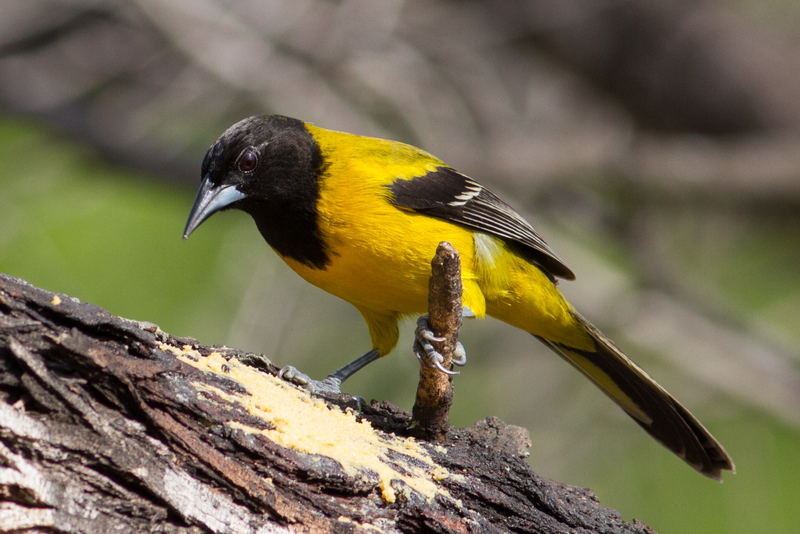 There were also many migrants to be found dotted through suitable habitat including both Hooded and Bullock’s Orioles, stealing the show however was surely the breathtaking views of a male Scott’s Oriole. The only disappointment was that a couple of vocalizing Mountain Quail refused to be seen and were seemingly eventually spooked by some passing hikers: c’est la vie. It would seem improper to just drive past a town called Jacumba Hot Springs without exploring properly and it wasn’t long before we were thankful that we had. As well as a few expected “desert” species like Brewer’s Sparrows, Costa’s Hummingbirds and White-winged Doves there was one west coast specialty making good use of the marshy wetlands found outside of town: Tricolored Blackbirds. As well as the blackbirds the wetlands and town were awash with migrants and we enjoyed a fun relaxed lunch break on a resort patio picking off Black-throated Gray Warbler, Warbling and Cassin’s Vireo and more in the surrounding trees while we ate. After checking in at our hotel and sitting out a little of the midday sun we headed off for the south end of the Salton Sea to look for birds. First up after leaving our hotel we were granted great looks at a bunch of delightful Burrowing Owls along the agricultural fields south of the sea. The Salton Sea is a habitat that is sadly deteriorating rapidly. Though spring is not prime time for Yellow-footed Gulls there are often a handful that have hung in through the winter. This year there have been exactly zero reports since late fall. Whether this is an anomaly or whether this is the future of the Salton Sea is hard to say. Though birds were somewhat few and far between generally it wasn’t all bad and we had a decent mix of shorebirds and waders if not numbers of any. Highlight though had to be the Gull-billed Terns that were coursing gracefully over fields and canals looking for insect prey and the stunning rosy-bellied Franklin’s Gulls loafing on the salty shoreline. In somewhat good news the smell was seemingly less intense than the last time I’d been at the sea too. We ended our evening listening to The Smiths in a small bar in Westmorland, CA. Not a place I could have ever imagined listening to The Smiths to in my wildest teenage dreams. Our day started bright and early in Borrego Springs. 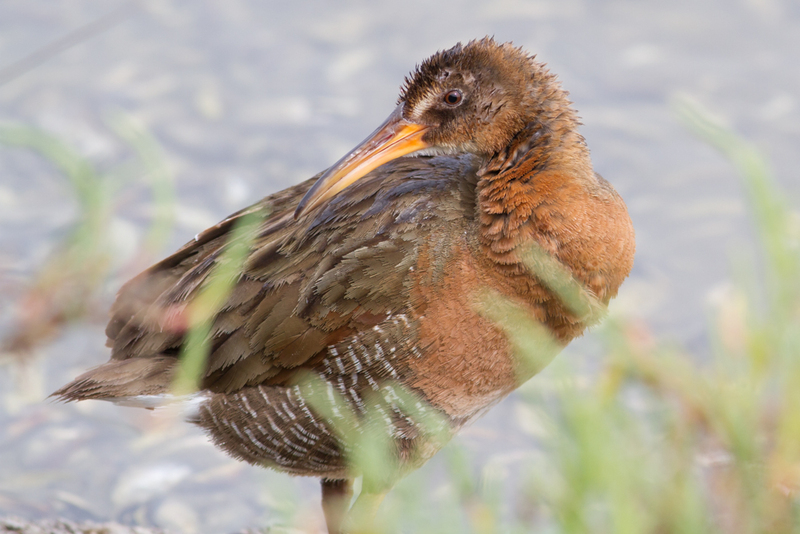 Here the blessings of water can bring unlikely bird sightings. Equally, what birding tour worth its salt doesn’t visit a wastewater treatment plant? That’s where we found ourselves early Monday morning. 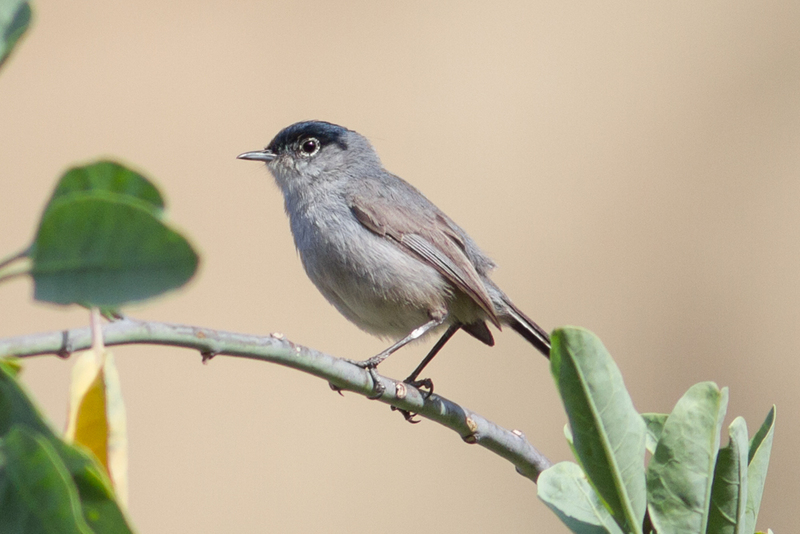 Though thrashers were conspicuous by their absence we added a few nice desert specialties including Black-tailed Gnatcatcher, Black-throated Sparrow and Verdin. 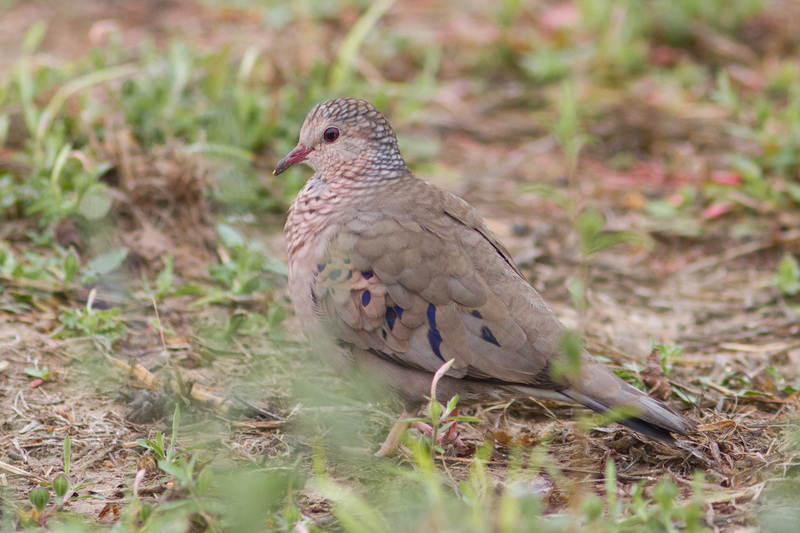 Next stop was a little neighborhood golf course where we picked up a cute little Common Ground-Dove and a Sora that was bizarrely walking around on a lawn completely oblivious to our presence. Before leaving town, we made a quick stop at a renowned migrant trap where we dug up a Rufous Hummingbird and two dark lored White-crowned Sparrows presumably of the Rocky Mountain race Oriantha. A quick break at the northwest corner of the Salton Sea was no more productive for gulls than the south end had been. It’s hard to find a bird that just isn’t there! We then got a taste of SoCal traffic when we ran into the tail end of clear out of the Coachella Music Festival. A two-hour drive to Pasadena rapidly became about a three-hour one, ugh! Still we cheered ourselves up on route with a quick stop for some lunch and most importantly a delicious date shake. After an hour or two down time we met for our evening owl extravaganza. Driving up to the San Gabriel’s with our packed lunch we hiked off into the sunset to look and listen for crepuscular birds. 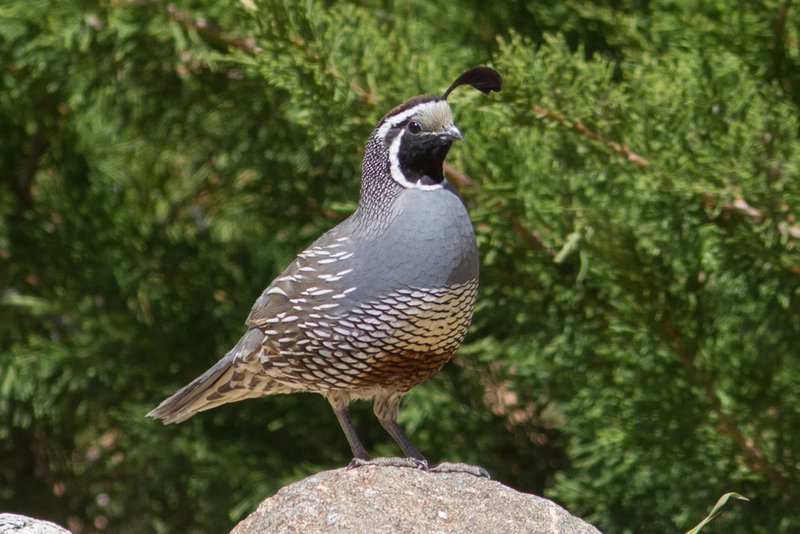 As we were hiking to our owl spot I began to hear nearby Mountain Quail and was astounded to suddenly see one dash across the trail behind us, a sighting which sadly eluded all the participants. No worries though, as we sat and watched the area where the bird had crossed the trail I suddenly spotted a second bird creep out into the open and start calling. Over the next couple of minutes, we all had incredible views of this most elusive of southern Californian birds in the gathering gloom. Sadly, no time or much light for photos. As the sun set so nocturnal owls started to sound off, first a Western Screech-Owl winnowing away from a nearby tree, then the boisterous call of a nearby Common Poorwill, a Great Horned also called out too, all while we ate our packed dinner and celebratory bottle of wine. The wine tasted all the sweeter when we finally managed to pick out a Spotted Owl calling from the ridgeline above us. A wonderful moonlit hike with incredible nocturnal birds and a couple of Mountain Quail all thrown in for good measure. Magical! With Mountain Quail under our belt and action in the mountains often slow to start, we enjoyed a late start to the morning’s activities. Kicking off at Charlton Flats Campground we actually had to work a little harder than usual to get good looks at our main quarry: Hermit Warbler. Though we lack numbers of warblers in the west I think we make up for that with their relative attractiveness and Hermit must be one of the prettiest. Next stop turned out to be another memorable one when I quickly located one of the groups most hoped for species: Lewis’s Woodpecker. There had been a surprising influx of this species over winter and I was happy to see that at least a dozen birds had lingered into the spring season. Most incredible though had to be when another of our high-profile targets, White-headed Woodpecker, flew in and bumped one of these beautiful Lewis’s off of its perch!!! 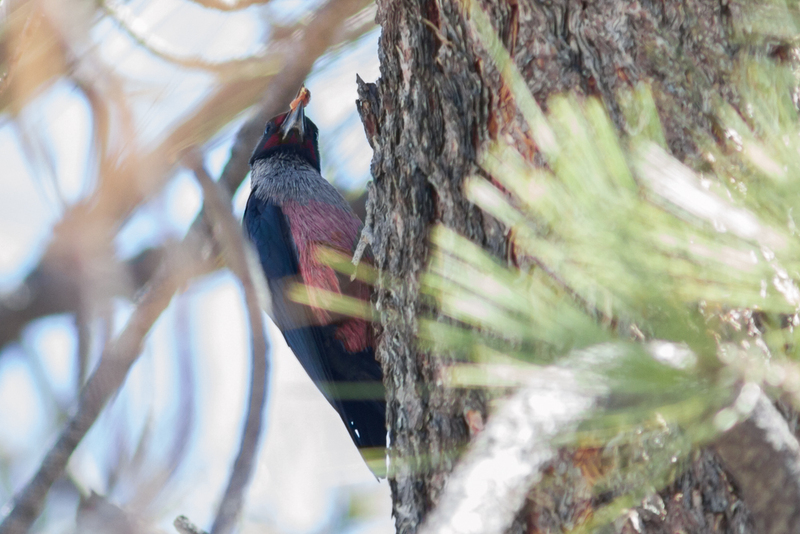 Two of North America’s most desirable woodpeckers interacting in the same binocular view! 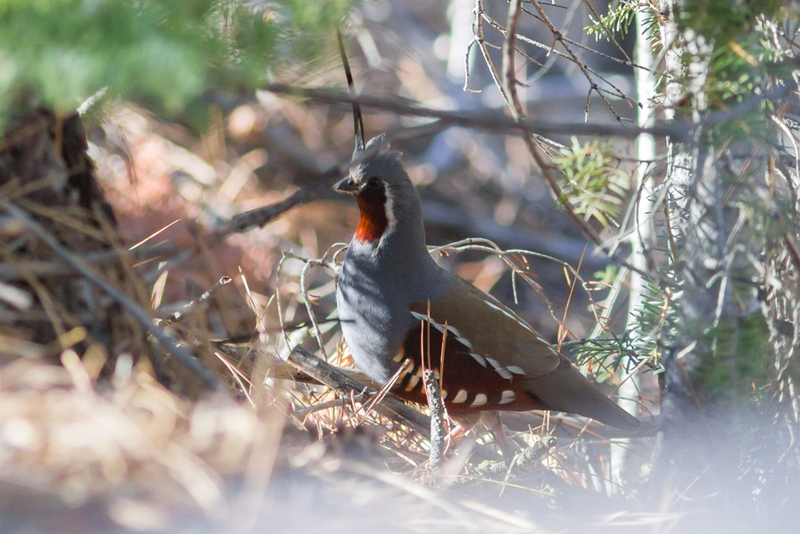 We even spotted another Mountain Quail at the same spot as it briefly popped up on the edge of a forest clearing! After a little hot-high-noon down time at our hotel we headed out to explore the Antelope Valley in early evening. A windy hike around a local park yielded single lingering Ross’s, Snow and Greater White-fronted Geese as well as a couple of migrants: Gray and Ash-throated Flycatcher. Some exploration of desert scrub netted us desirable residents in the shape of Bell’s Sparrow and even more excitingly a LeConte’s Thrasher spotted as a teed up driveby!!! Another nemesis bird down, and a great end to a fun day birding. When in Rome…. We started our day with a right of passage for Southern California Birders, a stop at one of the area’s top desert migrant traps Galileo Hill. Here out in the Mojave Desert exists a weird and wonderful spot that is generously opened to birders. On arrival we were inundated with a good number of arriving migrants including many Black-headed Grosbeaks, Western Tanagers and Western Wood-Pewees, however numbers tailed off a little as we explored further. That said there was still lots to enjoy including two Yellow-breasted Chats (including one that was very obliging), a female Calliope Hummingbird and a couple of Cassin’s Finches. The one real rarity we had, in the shape of a Hooded warbler, was disappointingly less cooperative. Next stop was California City, the ghost town that refuses to die. Here migrants were tough to come by but at least the Yellow-headed Blackbirds were putting on their usual show. One vireo eluded definitive identification but looked too pale and concolorous for the more expected Cassin’s. Though the day was warming up, we still had Lawrence’s Goldfinch on our target list and I decided that a midday drive out to Butterbredt Springs might be in order. Though remote and generally birdier at dawn, I thought the combination of interesting landscape, blooming desert flowers and a little natural water hole in the desert might provide us with an entertaining drive. We were not to be disappointed with the desert alive with fiddleneck, phacelia, brittlebush, chia and more in full bloom. There were also interesting animals too, including a beautiful Red Racer snake, a pretty Western Zebra-tailed Lizard and an adorable White-tailed Antelope Squirrel or two. We arrived at the springs and I could almost immediately hear the tinkling bell like call of Lawrence’s Goldfinch. Of course, the little buggers didn’t want to give themselves up too easily and we spent quite a few minutes trying to pick out ones that would sit still long enough for the whole group to get their eyes on. Eventually though we had another target species in the bag. We then had time to just enjoy watching birds coming in to this desert oasis including Fox Sparrows, Lazuli Buntings and our only Olive-sided Flycatcher of the trip. We even picked up a nice Greater Roadrunner to add to our growing trip list. After eating some amazing Pho at the kind of place that can probably only exist in the Mojave Desert, a Pho/Pizza/Donut joint, we headed back out to California City where we eventually garnered fantastic close up views of Lesser Nighthawks hunting. Another wonderful way to wrap up a day in the desert. This morning found us winging our way west towards a late morning search for California Condors. This gave us a little time in the morning to stop and check a migrant trap for birds. Though the trap itself was a little underwhelming, we did manage to uncover a number of prized Tricolored Blackbirds with a handful of Yellow-headed Blackbirds mixed in to the flock. As we headed up towards the mountains we picked up our first interesting raptor species of the day in the shape of two Swainson’s Hawks soaring northwards. 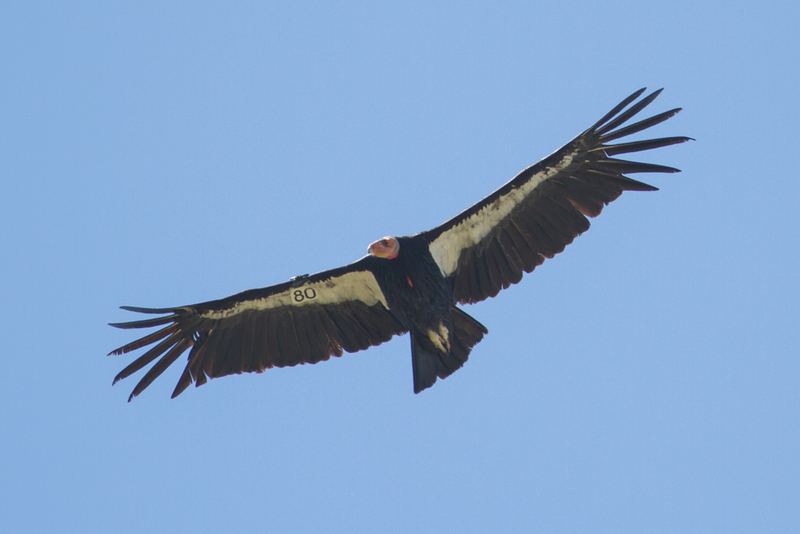 Our first stop to scan for California Condors proved to be a good one when a cursory check picked up a handful of them soaring out over a distant ridgeline. After a while enjoying scoped views we decided to head to pastures new and hope that we could pick up another target bird. As a tour leader finding time to just bird or picking up target birds in unexpected places is always a high point of any trip. I thought it worth exploring a spot for Yellow-billed Magpie that was closer to our condor spot than the regular one to see if we could track them down and allow us more flexibility on the rest of the day. This panned out very nicely when less than an hour later we found ourselves staring point blank at a beautifully yellow-billed black-and-white corvid and we even managed to pick up a fierce Prairie Falcon soaring overhead into the bargain. With the magpie under our belt we now had free range to explore for the rest of the day. After a great authentic diner lunch, we headed back to our previous California Condor rendezvous spot. Here we soon picked up a condor overhead and with some nifty driving soon found ourselves surrounded by an incredible eight condors all of which performed magnificently for us. An unforgettable encounter with a species that had once been so close to extinction! Amazing!!! With our desire for incredible condor encounters satiated, we headed to look for a couple of species that had previously eluded us in the mountains. Incredibly on route we ran across two more Mountain Quail (or more they ran across the road in front of us) for another sighting of these normally elusive birds. Our stop in the mountains of Ventura were both fun and productive. First, we picked up the good looks at Green-tailed Towhee that had previously eluded us, then I heard the distinctive tooting of a Northern Pygmy Owl. We eventually managed to garner good looks at this adorably ferocious little diurnal owl at the top of a nearby conifer, though I hope participant’s shots turned out better than my digiscoped effort. Most excitingly the pygmy owl of the coastal mountains is one of those species that may find itself split off from those in the interior in the future. Let’s face it though, armchair tick or not, any owl sighting is always a fun one. Leaving the mountains, a couple more allegedly elusive Mountain Quail scurried across our path and were even kind enough to pose for photos! Fifth time lucky! Another incredible moment. We enjoyed a nice early end to the day’s proceedings before heading out to another great spot for more Californian beer and pizza. We awoke to disappointing news that our boat to Santa Cruz Island, in order to look for Island Scrub-Jays, had been cancelled due to rough seas. A quick call in to friends connected me to a captain of one of the boats and we discovered that there was an outside chance that the boat might be on tomorrow though forecasts were less than ideal. That said there’s no point crying over spilt milk, so we got ourselves on the road and went out looking for birds. We started off on the beach in Ventura where a couple of shorebirds added to the morning’s fun including Lesser Yellowlegs and a spectacular female Red-necked Phalarope that was doing its thing: spinning like a top in a pond looking for food. Also on site were a couple of nice Bonaparte’s Gulls and out on the water we picked up both Pacific Loons and Brandt’s Cormorants. A drive along the Malibu coastline is always a nice one, especially when at the end of it you find yourselves looking at adorable little Snowy Plover chicks. We then shared our packed lunch inadvertently with a fearless Western Gull and got to see our second Sora of the trip just sauntering out on some mudflats. Add to that a couple of new gulls, including some chocolate brown young Heermann’s, and we’d had ourselves another productive stop. A few more stops on the day included a quick one to pick up Wrentit, just in case we had no time for land birds tomorrow, and one to tick off the oddly missing Cassin’s Kingbird from our checklists. A place where I’ve had rails before turned up a lingering Golden-crowned Sparrow and a new place to explore provided nice looks at Forster’s Terns and swallows of various stripes. We headed out onto the water with what I believe were about eight-foot waves. It wasn’t making for the greatest conditions for spotting small alcids, but it was definitely pretty good for spotting shearwaters – even if holding binoculars steady was somewhat challenging. We were soon enjoying great views of Sooty Shearwaters in good numbers and eventually managed to pick up a few Black-vented Shearwaters that were lingering late into the season. As we got closer to Santa Cruz we had good looks at a winter plumaged Common Murre followed by a couple of Cassin’s Auklets and eventually one Scripps Murrelet that was sat on the water. Not bad for small birds on rough seas. 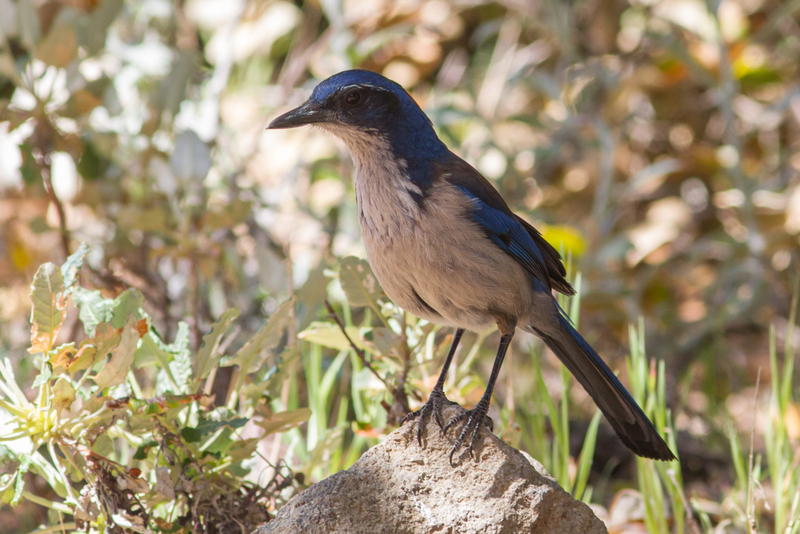 We had hardly had time to finish our orientation talk on the island before we had a couple of beautiful Island Scrub-Jay sightings. These handsome birds are a real highlight of the tour and distinct in plumage and size from their mainland cousins. We then had time to pick up a couple of Pigeon Guillemots, enjoy a little downtime, have our packed lunch and pick up an adult Bald Eagle soaring overhead before boarding the boat for the return journey. The seas were perhaps rougher on the return journey, and we still needed Scripp’s Murrelet sightings for those that had managed to miss them on the way out. Just as we were giving up hope of spotting any Scripps’s Murrelets we picked up a pair on the water for what, under the circumstances, were great views! We enjoyed the last few minutes on the boat as flocks of hundreds of Red-necked Phalaropes passed us by and rafts of spectacular breeding plumaged Pacific Loons took off in front of us us. We arrived back in the harbor safe and sound, greeted by our first Black Oystercatchers of the tour. A drive to Los Angeles and some fond farewells ended a fun and productive week-long tour of Southern California. 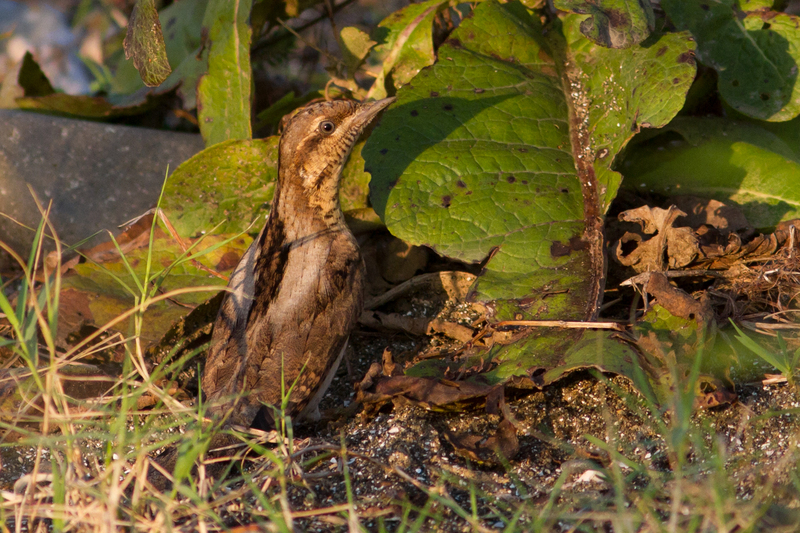 Over the eight days we had picked up over 230 species of birds including those not countable under ABA rules. Highlights included a wealth of localized and sometimes difficult to find species including: Spotted Dove, California Gnatcatcher, Scaly-breasted Munia, Ridgway’s Rail, Gray Vireo, Tricolored Blackbird, Mountain Quail, Spotted Owl, LeConte’s Thrasher, Lawrence’s Goldfinch, California Condor, Yellow-billed Magpie, (Pacific) Northern Pygmy Owl, Snowy Plover (chicks), Black-vented Shearwater, Scripps’s Murrelet and Island Scrub-Jay as well as those myriad birds with California in their name. The great birds were complimented by great scenery, wildlife, food, beer and company.